Like Instagram story, WhatsApp has introduced a new feature called "Status" which allows you to post photos and videos that will automatically disappear after 24 hours. It's a new way to share something with your WhatsApp contacts all at once. WhatsApp status has a limit to post only 30 seconds videos. Sometimes, you want to post videos longer than 30 seconds on your WhatsApp status. Here we have a simple workaround to fix this problem. You can split the video in a number of parts such that each part is of 30 seconds. 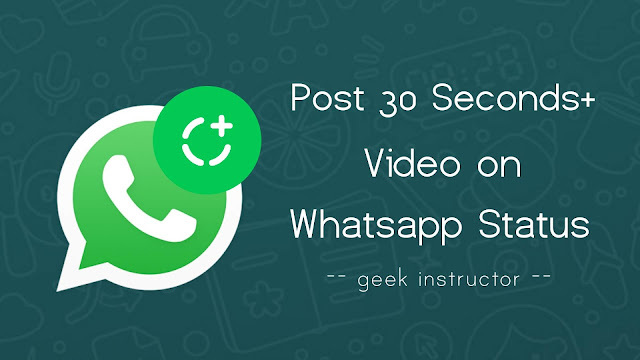 This guide will show you how to trim the video and post more than 30 seconds video on your WhatsApp status. Open WhatsApp and move to the Status tab. Click "My Status" option and select the video you want to add to your status. Now drag the handlers at the top and select the first 30 seconds part of the video. After this, tap the send button to post the status. To trim the next part of the video, go back to the Status tab, select the video again, and adjust the handlers to select the next 30 seconds part of the video. 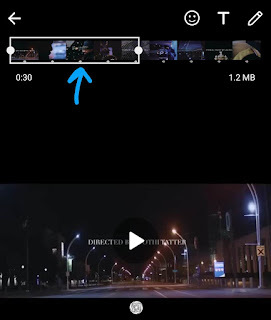 This way, you can trim your video in a number of parts (each of 30 seconds in length) and then easily post them on your WhatsApp status one-by-one. Download and install Story Split app on your phone. Open the app and select the video you want to add to your WhatsApp status. Then tap the "Next" button. 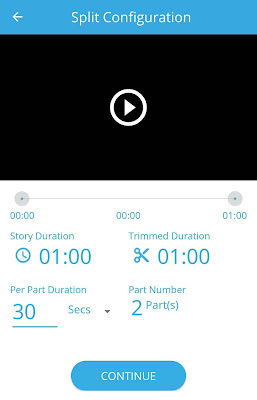 Now trim the video and type 30 seconds in the "Per Part Duration" field. You can see how many parts it will split the video into. After configuring the split settings, tap the "Continue" button. Once the app has finished splitting, post the 30 seconds videos on your WhatsApp status sequentially. That's how you can post videos longer than 30 seconds on your WhatsApp status. If you find this guide useful, please share it with your friends!